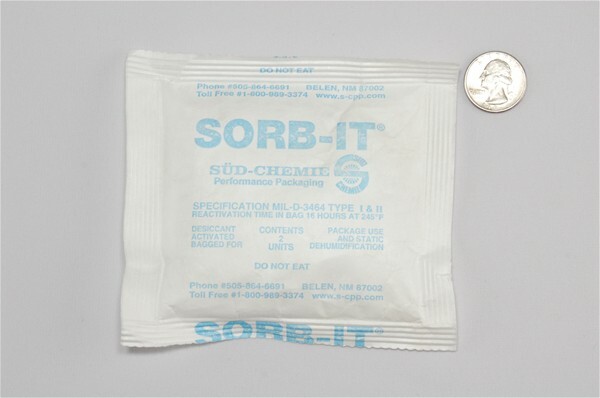 2 Unit Sorb-it packs contain silica gel that will control moisture in contained environments. The pouches prevent corrosion, mildew, mold, rust and other moisture damage during storage and/or shipping. 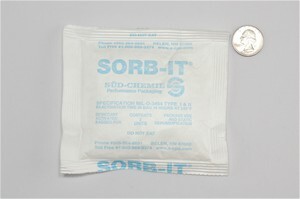 Sorb-it absorbs water from the surrounding environment, but yet remains dry to the touch, even at maximum capacity. Each 2 unit pouch measures 5" x 4.5". 150 silica gel pouches per pail.